For many, a new year represents a new chance at a clean slate. For the Colorado Rockies, it represents a chance to get back into the good graces of their fan base. The Rockies started the offseason with a bang. The full details will almost certainly remain unavailable, but the bottom line is that both Dan O’Dowd and Bill Geivett, orchestrators of the last 15 seasons of professional baseball in the Mile High City, were both out the door (“resigned” is the official word) and former Ivy League player Jeff Bridich found himself at the helm of the Rockies. Since that time, Bridich has quietly gone about making reasonable, if underwhelming, upgrades to the Rockies, mainly bolstering the bullpen and creating starting pitching depth. They aren’t the type of transactions that spell instant contention, but hey, Colorado probably wasn’t going to contend in 2015 anyways. The final season of the O’Dowd/Geivett regime saw many of the club’s top prospects stagnate at their current levels. Bridich will probably spend 2015 creating an upcoming “window” for contention that might’ve started this season had the club been under better leadership. But there is one, very simple move that many Rockies fans would’ve liked to see Bridich pull the trigger on this offseason. It’s a move that would almost certainly be overlooked, but might hold the key to success for the Rockies. More importantly, though, it’s a move that the club would not have to wait for any sort of contention window for it to make sense. 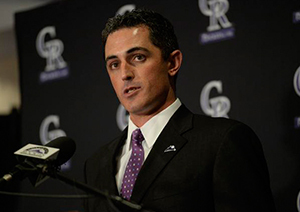 Why didn’t Jeff Bridich replace the Rockies training staff? It’s no secret that the Rockies have struggled mightily with injuries the past few seasons. That, in and of itself, is not necessarily a reason to dump a training staff. But it’s worth noting that the vast majority of injuries to Colorado players over the past few seasons have been soft tissue injuries, which trainers almost certainly have an influence on. Furthermore, guys like Troy Tulowitzki, Jhoulys Chacin and Michael Cuddyer can all be listed as players in 2014 who had initial diagnoses changed or timeframes for return pushed back because the initial injury didn’t seem to be responding to treatment. The entire situation reminds me of the Denver Broncos with Rich Tuten as their strength and conditioning coach. Tuten was shown the door after the 2011 season after the Broncos had a startling uptick in soft tissue injuries during his last few seasons with the team. New strength and conditioning coach Luke Richesson has since gotten the team back to the forefront of sports training and the injury report has reflected it ever since. Similarly, Rockies head trainer Keith Dugger and his staff have been with the team for as long as most fans can remember. And for the vast majority of that time, no one thought anything of Dugger’s role either way. 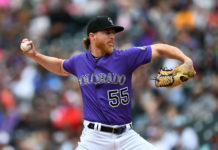 But with the injuries piling up in perpetuity every season, it’s time for the Rockies to bring in a training staff with new techniques and fresh ideas to keep Colorado’s key players off the trainer’s table. Bridich’s hiring was the perfect opportunity to get that fresh start, but for whatever reason the rookie general manager has decided to keep the current establishment in place for the time being. Bridich has made it clear that he will listen to offers for any player on the roster, a stark departure from last year’s refrain that the club would not trade its superstars Carlos Gonzalez and the aforementioned Tulowitzki. But in order to move a player for maximum value, he needs to be healthy. And it’s hard to imagine anyone keeping the Rockies less healthy than they’ve been the past few seasons. That’s not an endorsement to trade either of those guys (or anyone else specifically) during the upcoming 2015 season, but if Bridich is looking to turn this team around, most of us would certainly approve of a bold move or two to get the club moving in the right direction. 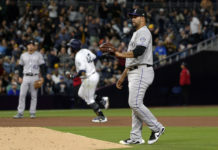 The Jeff Bridich era of the Colorado Rockies is off and running, and although many fans are excited about the change, it’s disappointing he dropped the ball on this aspect of the club. Perhaps we’ll look back a few years from now and conclude that the training staff never made a difference, but if the injuries pile up again in 2015, the rookie general manager will have to lay some of that blame on himself.